March 16, 2018 /0 Comments/in For Educators, For Individuals /by Darko S.
Before heading to preschool or grade school, children spend most of their time with their parents, from whom they learn and with whom they laugh, cry, and share everything in between. And so, when the time comes for parents to let their children grow up, it’s completely understandable why it can be so hard and challenging to do so. As children grow older, parents are faced with the fact that their children won’t be spending as much time with them as before. Some parents may be looking forward to this stage, and others may be dreading it, but regardless, obstacles may arise. Kids are going to make new friends and relationships which will differ from the one they have with their parents. They are sometimes going to prefer hanging out with their friends from school, which can come at the expense of family time. Nevertheless, this is crucial for building social independence with their peers. When children reach adolescence, parents need to loosen their restrictions and trust their children to take some risks and explore (e.g. going out with friends alone, entering dating relationships, etc.). Finally, and probably the hardest to bear, parents have to let their children leave home and start their own independent life. The path of parenting can take many different turns. There are some parenting practices that can slow down children’s transition from childhood to adulthood. For example, parents may feel as though they’re abandoning their children if they don’t provide them with enough care and supervision – which could lead to overparenting, or becoming a helicopter parent. Doing everything for your children may result in you controlling them, and denying them the power to make their own choices and to express themselves. All of this sends a clear message to them – that you don’t believe that they can do something on their own. The quality and nature of relationships between parents and children differ. Even within the same family, roles and relationships change over time as parents start down the path of raising their children. From an early age, children learn to internalize their experiences with parents and translate them to other relationships in their childhood and adulthood . For example, if parents continually undermine their autonomy and risk-taking, children may become overly dependent on them, as well as experiencing increased anxiety when making decisions or dealing with life choices. This can result in them not being prepared for the adult world. I can go to [my mom] with my problems, I can rely on her to be there for me, I know that she won’t get mad at me for you know, for like a mistake or something like that. If I have problems, whatever, she, I don’t know, she’s always there for me. 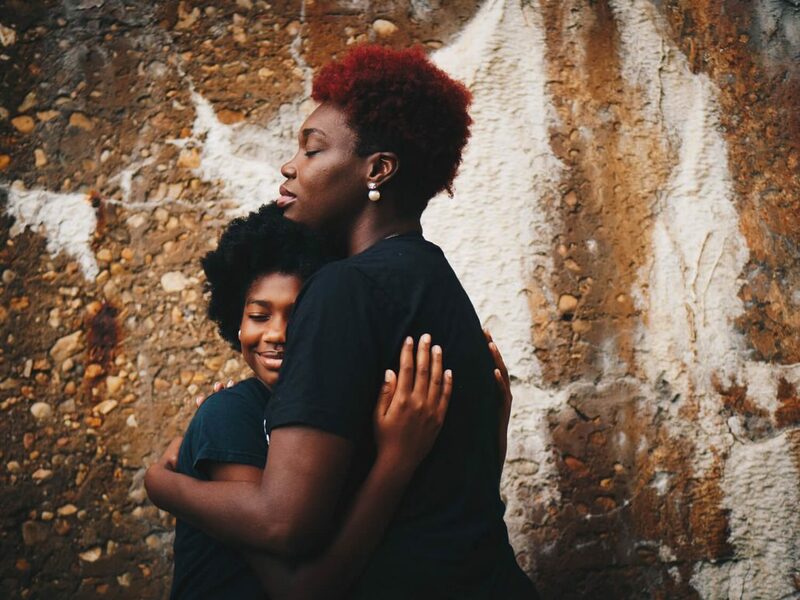 Studies show that having a good relationship with your child is associated with them being less engaged in high-risk behaviors, having fewer mental-health problems, and better social skills and strategies to cope with distress . Also, they’re less likely to engage in excessive drinking, drug use, and risky sexual behavior . Children who have this kind of positive relationship with their parents also “manage the transition to high school more successfully, enjoy more positive relationships, and experience less conflict with family and peers” . So, building strong and positive relationships between parents and children leads to desirable outcomes in early childhood, as well as in adolescence. In this type of relationship, parents encourage their children to explore and take some minor risks, while at the same time providing them with a safe and reliable harbor to come to in times of trouble. We’ll now look at some parental practices that can be beneficial in helping a child’s transition from childhood to adulthood. – Although the parent’s availability and sensitivity in times of distress are essential for maintaining a secure attachment with adolescent children, adolescents don’t need the same amount of proximity and physical availability as do young children. Knowing that they’ve got the support of their parents is more important to them . Keep in touch, stay close, but not too close, and don’t ask too many questions. Give them the space they need to try their own wings. Parents are the safety net, rather than the cage. – Make sure your children have an opportunity to do some tasks all by themselves, without standing over their shoulder every second, even if that means they’ll occasionally make mistakes. Try to give them some commitments and obligations that are more grown-up, such as paying the bills through the mail, taking care of their younger sister/brother, taking up some new chores and more responsibility around the house, etc. – Don’t demand, suggest! Clearly and thoroughly explain your reasoning behind a proposal about, for example, something they should do differently. Your relationship should be less about dependency and authority, and more about mutual respect. – Instead of monitoring their every move by playing 20 questions, start a conversation by telling them about something interesting that happened to you on that particular day, and then ask them about how their day went. If you haven’t already done it, try establishing a routine where you talk and learn about each other’s day and experiences in a conversational way, rather than pressuring answers with question after question. Remember, it’s fine if they don’t have anything to report – some days can just be slow and uninteresting. – It’s important to understand that your children now have other important people in their lives. You should be proud and happy because they have different people they can rely on in times of need. In the end, you have to acknowledge that you’ve done your best as a parent and appreciate the life choices your children make. Otherwise, caring too much and controlling your teenagers may be overwhelming for everyone. We at Nobel Coaching & Tutoring know there are many variables that can take you off your intended parenting path to the point where your relationship with your adolescent could be in distress. Connect with us to hear how we assist students and their parents through Coaching and Tutoring! Freeman, H., & Brown, B. B. (2001). Primary attachment to parents and peers during adolescence: Differences by attachment style. Journal of Youth and Adolescence, 30(6), 653-674. Moretti, M. M., & Peled, M. (2004). Adolescent-parent attachment: Bonds that support healthy development. Paediatrics & child health, 9(8), 551-555. If you need any kind of advice related to adolescence period, you’ve come to the right place! School Stress: High Achievers Are You a Visual or a Verbal Learner?